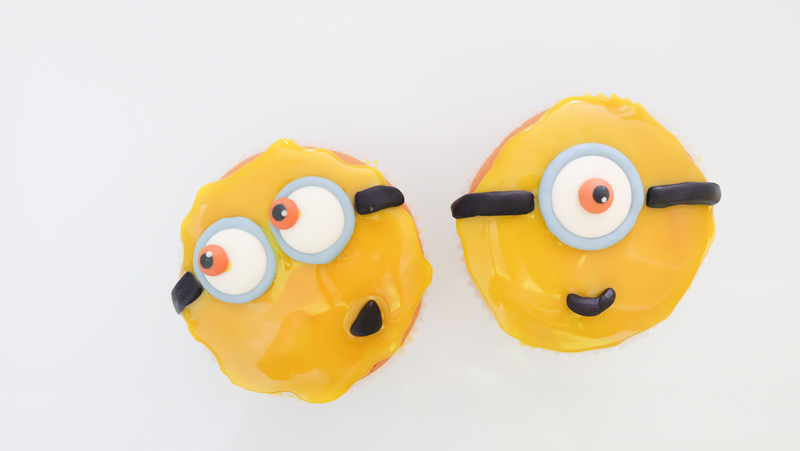 Ever since we knew the existence of minions when we watched Despicable Me, we’ve become slightly obsessed with their cuteness. I mean, can you resist the yellow loving, banana eating creatures?! 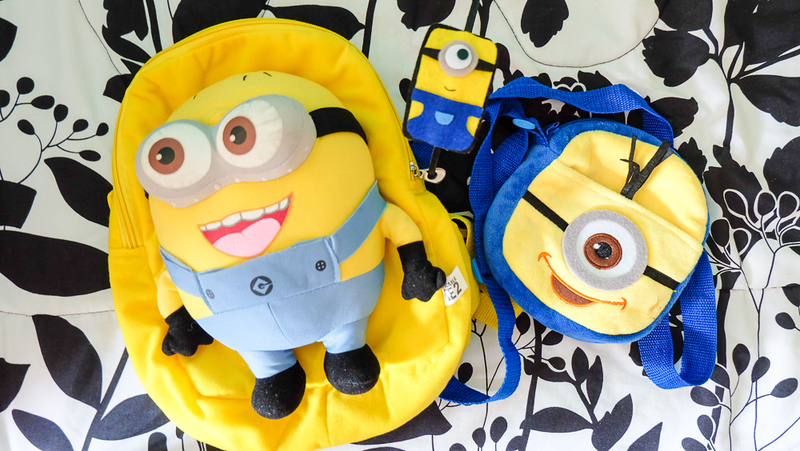 When we learned that the Minions will have their own movie, we planned on watching it. 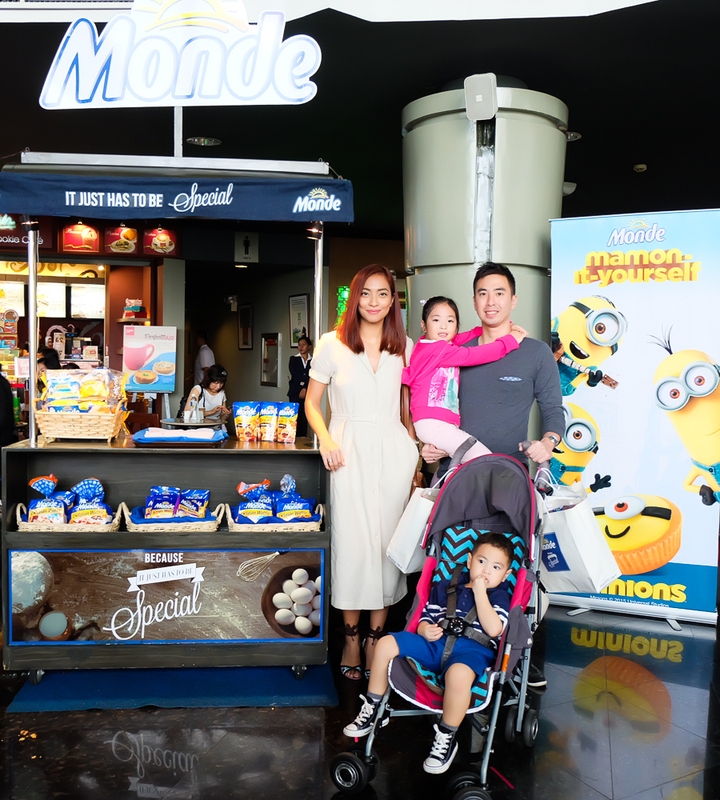 So we were thrilled to get an invite from Monde to watch Minions. 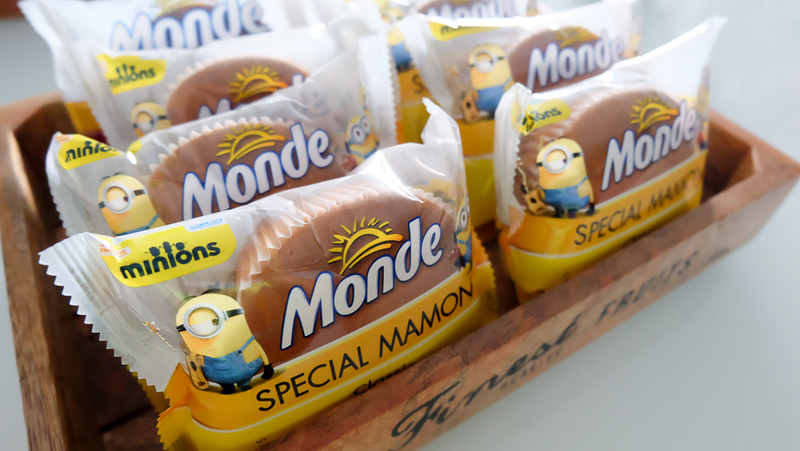 Minions + Monde = cuteness & fun! 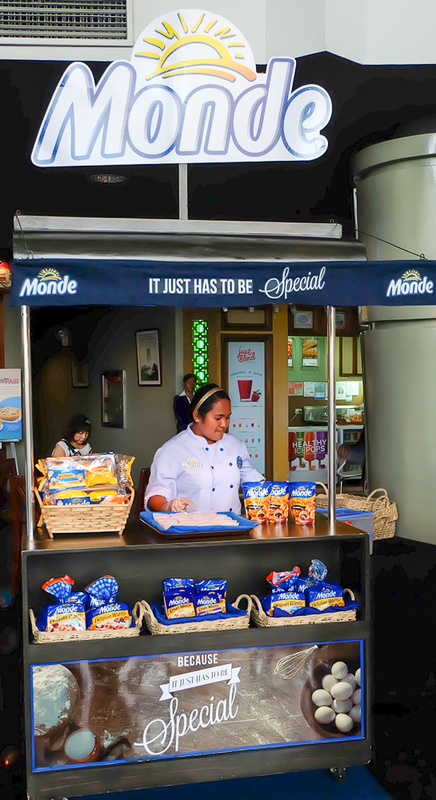 During the movie screening, there was a Monde stall letting the movie goers try some of their products. 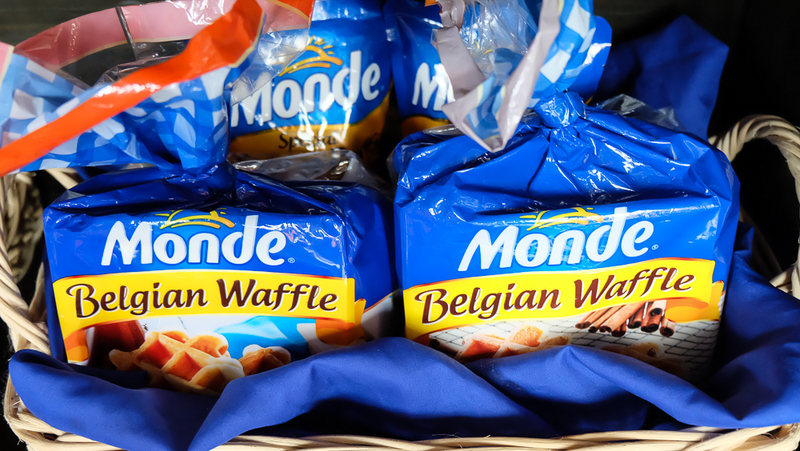 Monde Belgian Waffle which is my favorite! The GJGs all ready to watch Minions with Monde! 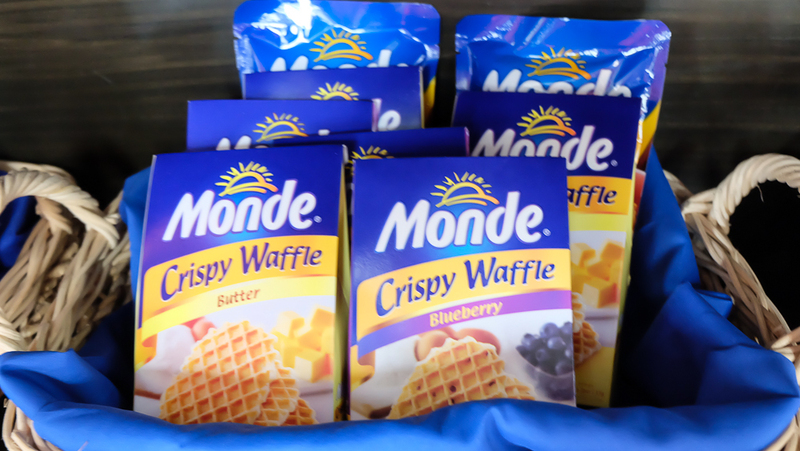 We indulged in some Monde Muffin & Crispy Waffle while watching the movie. 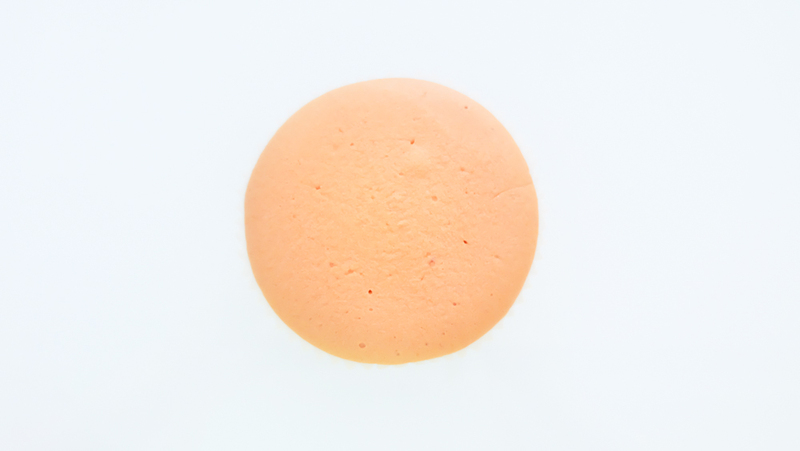 We enjoyed watching it and seeing the little yellow fellows back on the big screen, this time with Scarlet Overkill (who I find very powerful & pretty). But the Minions fever didn’t stop after we stepped off the theater. 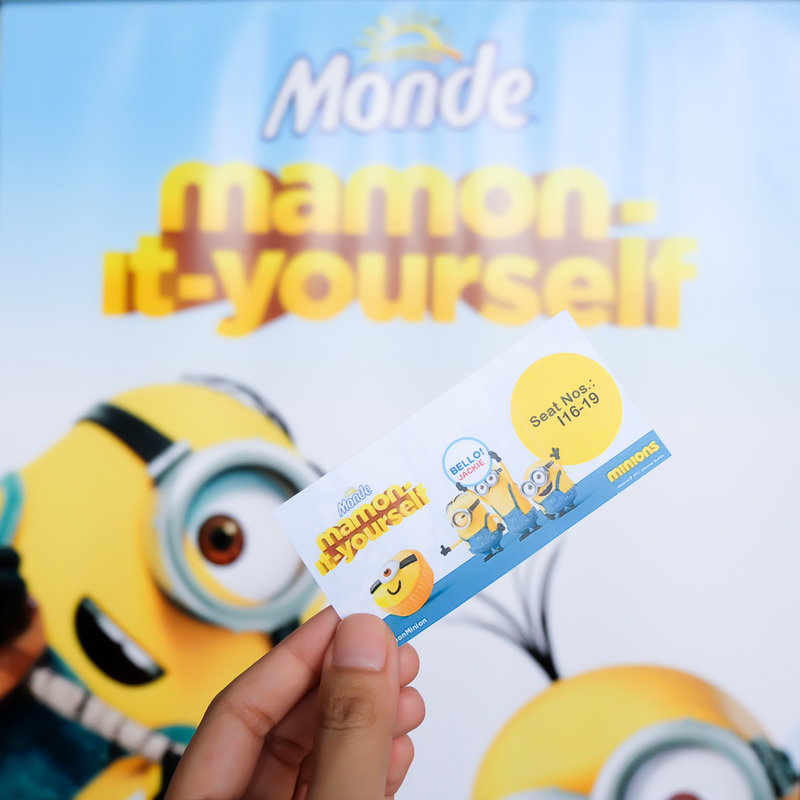 For we got to create our own Minions at home with our very own Monde Mamon-It-Yourself #MyMamonMinion Maker Kit. 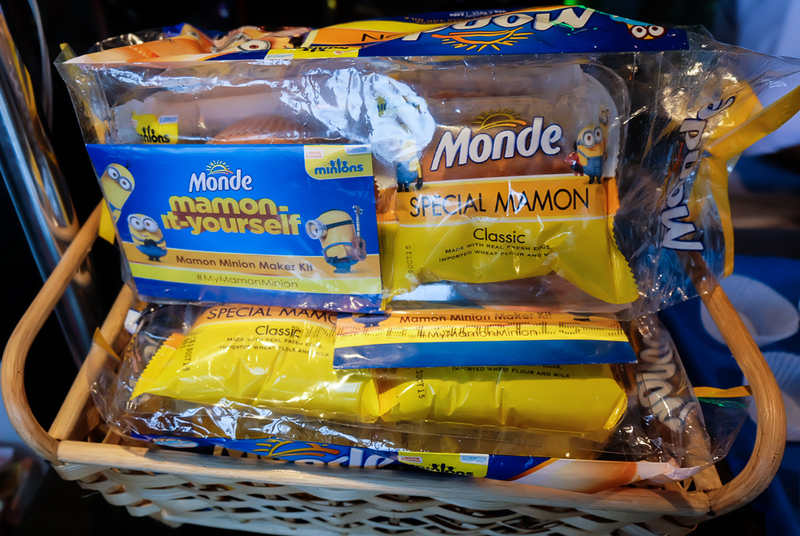 You know you can make Monde Special Mamon even more special with Mamon-It-Yourself. 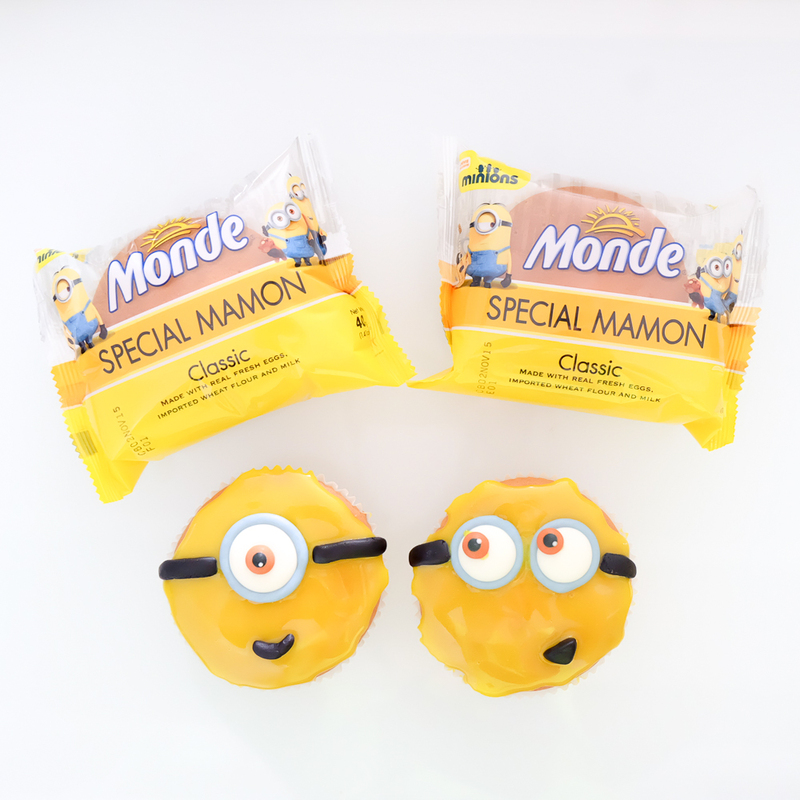 What’s more fun is that Monde lets us create our very own Mamon Minion! 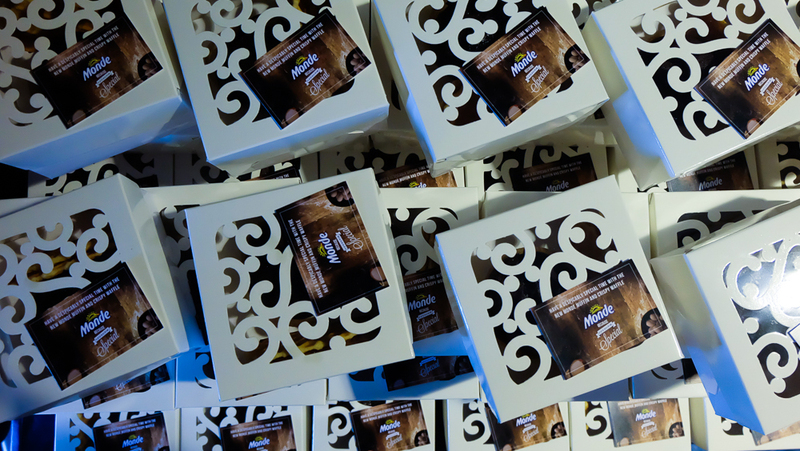 For a limited period, every pack of Mamon Classic 6s contains a FREE Mamon Minion Maker Kit. 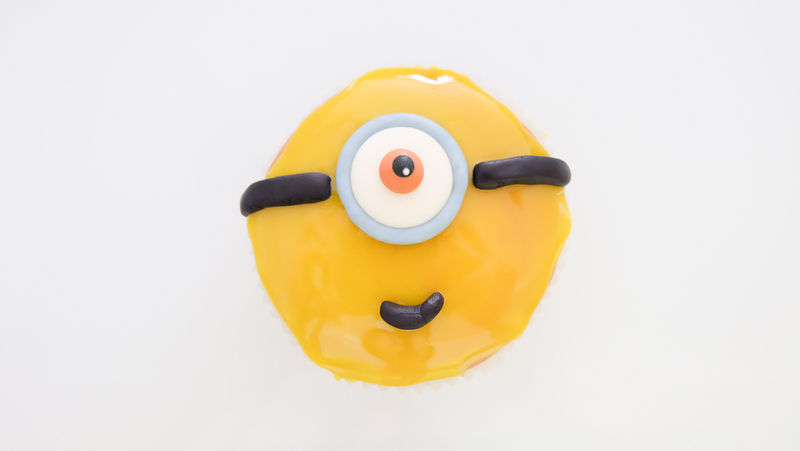 Because we cannot get enough Minions, we knew we had to make #MyMamonMinion ASAP! 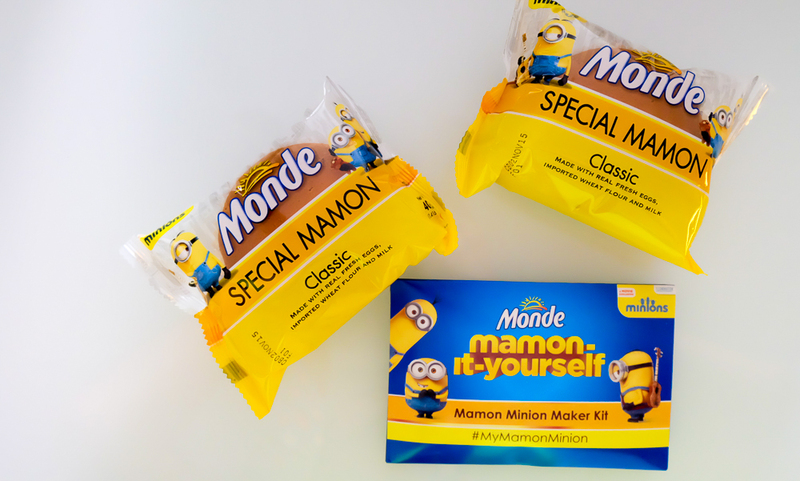 Mamon-It-Yourself is a fun activity to do with your kids, create #MyMamonMinion only takes 4 easy peasy steps and all the tools you need are included in the kit. 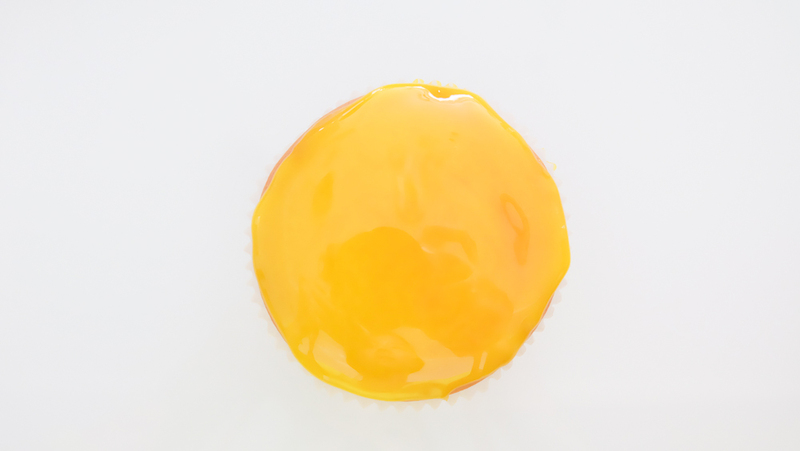 STEP 1: Spread the yellow frosting on top of Mamon. 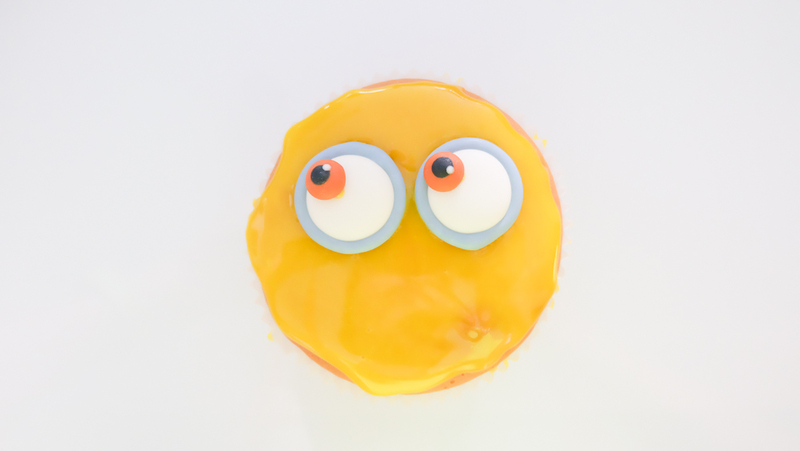 STEP 2: Use fondant to create Minion eyes . 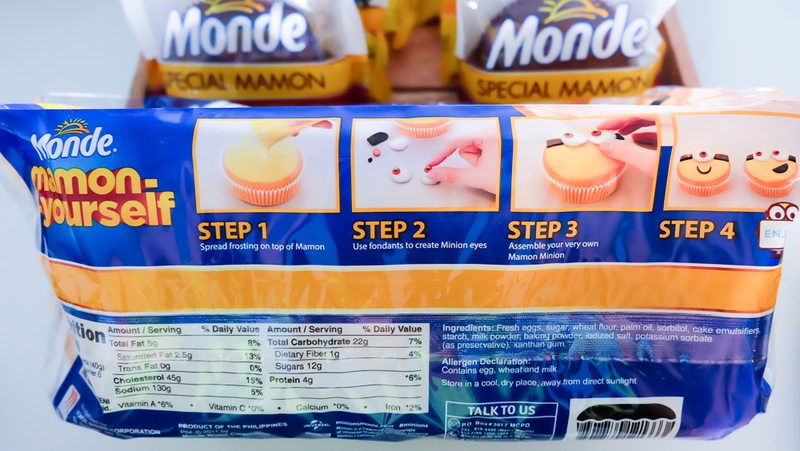 STEP 3: Assemble your very own Mamon Minion. 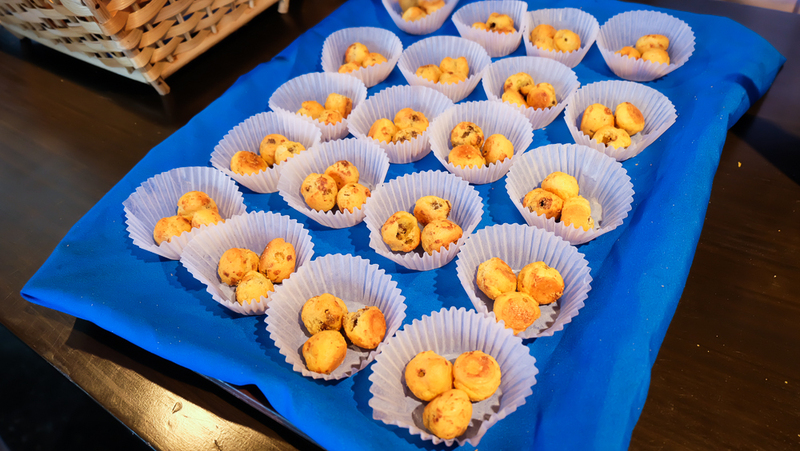 How kyooooot are these Monde Special Mamon Minions?! 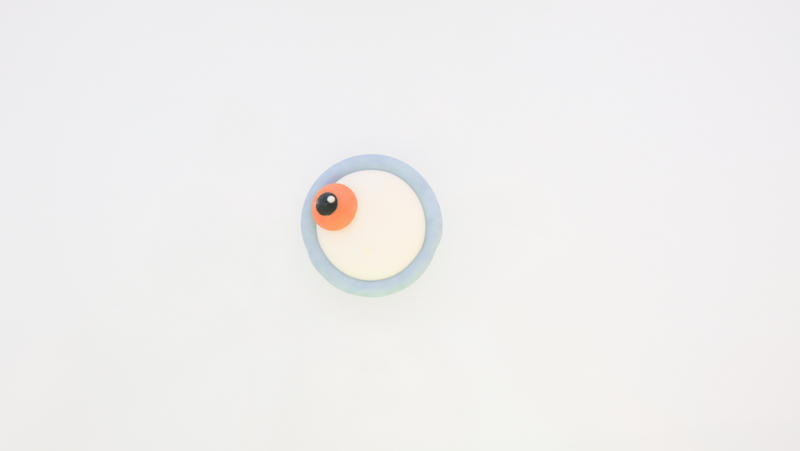 My lil’ GJGs had so much fun creating them. 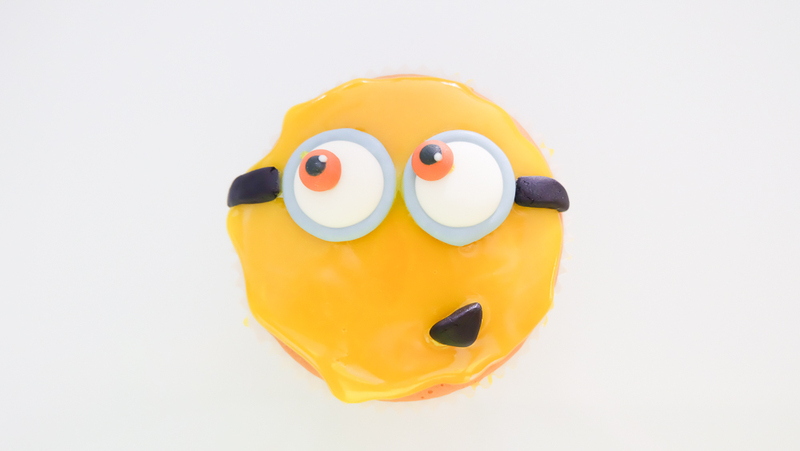 My lil’ Mr. GJG in particular wants a Minion-themed party. So we’re thinking of letting the kids do this activity during his school party.